The Malibu Monarch Project members work to build awareness of the causes and implications of a declining monarch butterfly population. 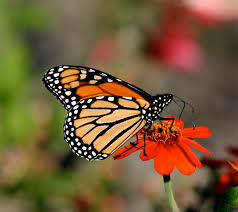 Members of the group visit schools to inform students how they can help to reverse the decline in monarch butterflies. Presentations before groups such as the Malibu Rotary help spread the word. Events such as the milkweed giveaway sponsored by Bank of Books at Pt. Dume Village raise interest in the issue.